Five heavy gamers sit down to play a light filler game and all enjoy it. 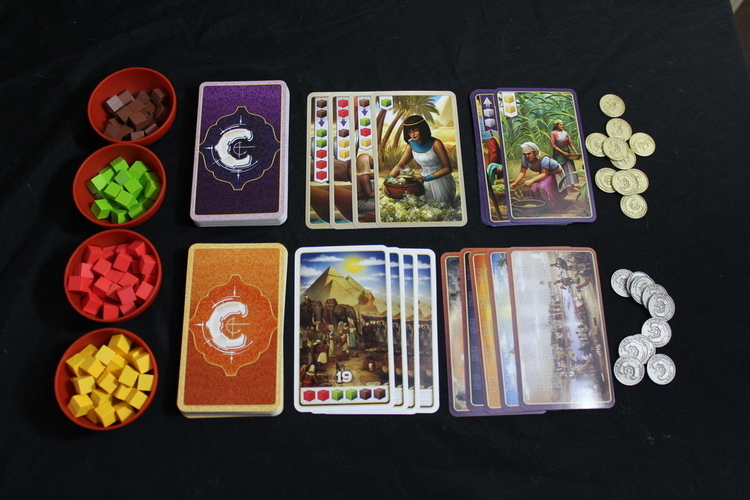 No this, isn’t the start of a bad joke but the start of my Century: Spice Road walkthrough! After playing this at HeavyCon it was top of my list to grab at UK Games Expo. Each of the cubes represents a spice yellow - turmeric, red - saffron, green - cardamom and brown - cinnamon, with yellow being the easiest to get and brown being the hardest. 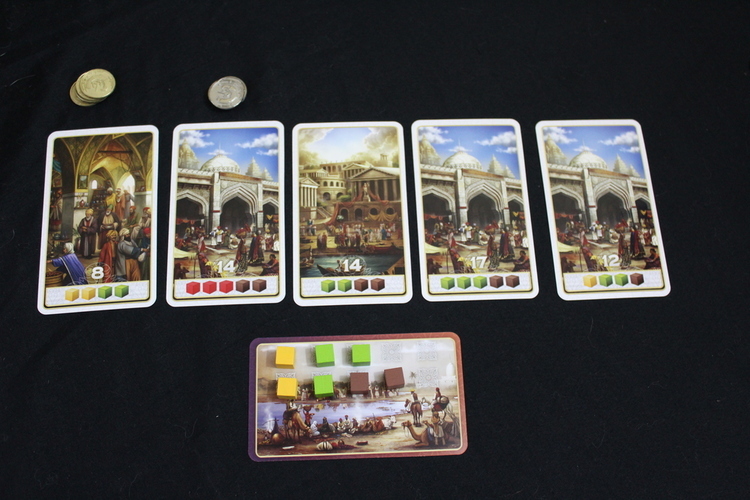 During the game you will be drawing merchant cards that help you obtain or upgrade spices in order to fulfil the point cards. Place six merchant cards out and five points cards. Place a pile of gold tokens equal to twice the number of players next to the first point card and an equal number of silver next to the second card. After my discussion about start players, this game has a great, built in mechanism for determining who goes first. 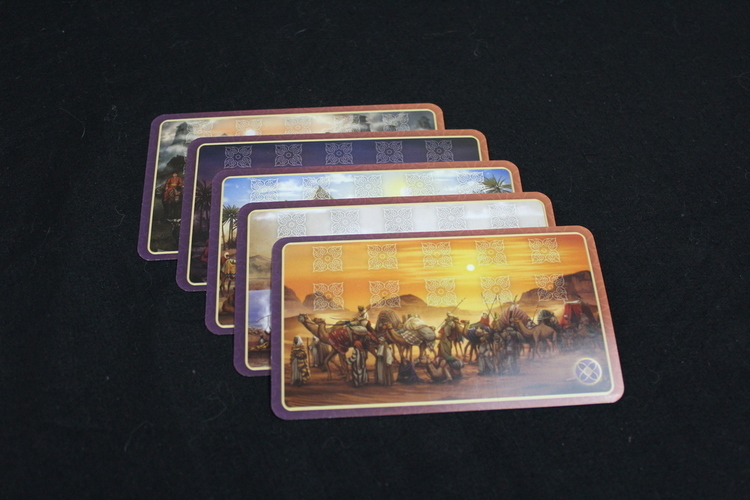 Shuffle up the caravan cards and deal them out randomly, one of them has a special symbol at the bottom, that player goes first. Everyone starts with the same two merchant cards, one lets you take two yellow cubes, the other lets you upgrade cubes twice, so you could upgrade two yellows to two reds or one yellow to a green. Play a card - Take the action granted, then place the card in your discard pile. Acquire a merchant card - When taking a merchant card, you must first pay for it by placing cubes of your choice on each merchant card to the left of it. The leftmost card is free, however, for example, the third card would cost you two cubes. However, if you take a card with cubes on it, these immediately go onto your caravan card. The merchant card goes into your hand ready to play next turn if you wish. Slide the rest of the cards down the line and refill. Claim a points card - Pay the cubes shown on the card back to the bowls, place the point card face down in front of you and take a silver or gold coin if it is from either of the first two spaces. Slide the rest of the cards down and refill. Rest - Take all your previously played cards back into your hand. At the end of the turn you may not have more than ten cubes in your caravan, any extra must be returned to the bowls. The game ends when a player takes their fifth point card (play to the end of the round) Points are awarded for points cards (obviously! 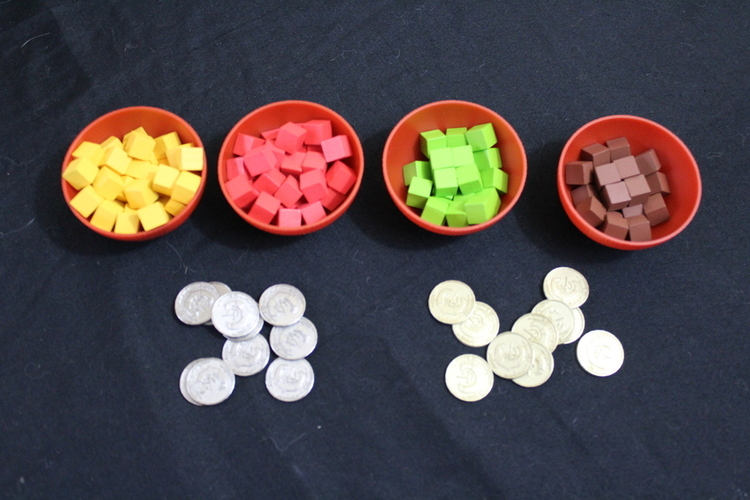 ), gold tokens are worth three points, silver are worth one, each non-yellow cube in your caravan also scores you one point. The player with the most points wins! We really enjoy this game as a quick ‘warm up’ for the evening. It has elements of deck building, engine building and the sheer quality of this game shines through, from the gorgeous card art to the metal coins and very cool component bowls! Let’s talk about the elephant in the room - is this a ‘Splendor Killer’? Yes, and no! 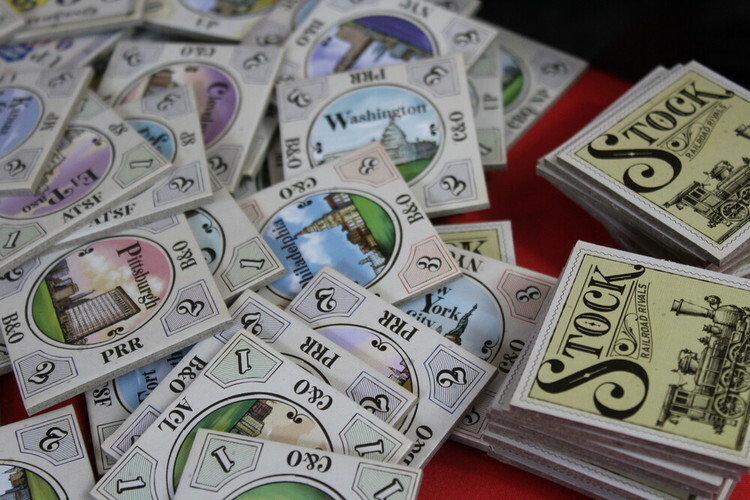 Splendor, in my mind, is a far simpler game and will be played by families and new gamers. 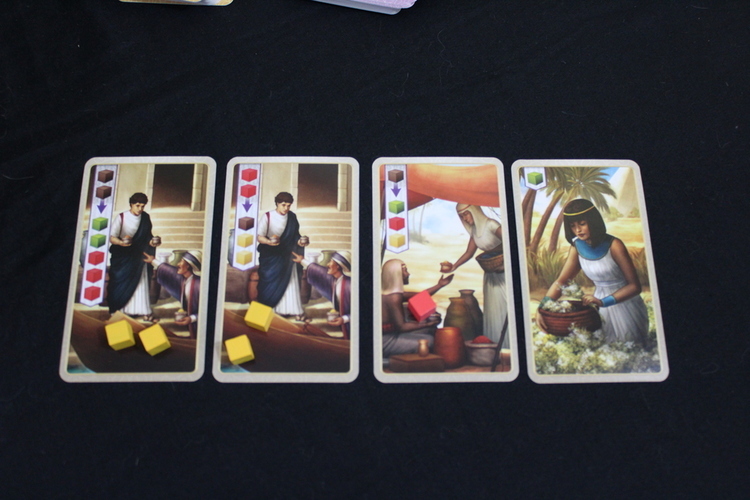 Spice Road adds that something that was missing for me. There’s an extra layer of thought of depth here that I really enjoy and it feels far more of an engine builder for me. All of the games we’ve played have been pretty balanced and it’s usually a few points difference between first and second, and not always won by the person with the most point cards. A highly enjoyable ‘family friendly’ game with enough depth for more serious gamers.